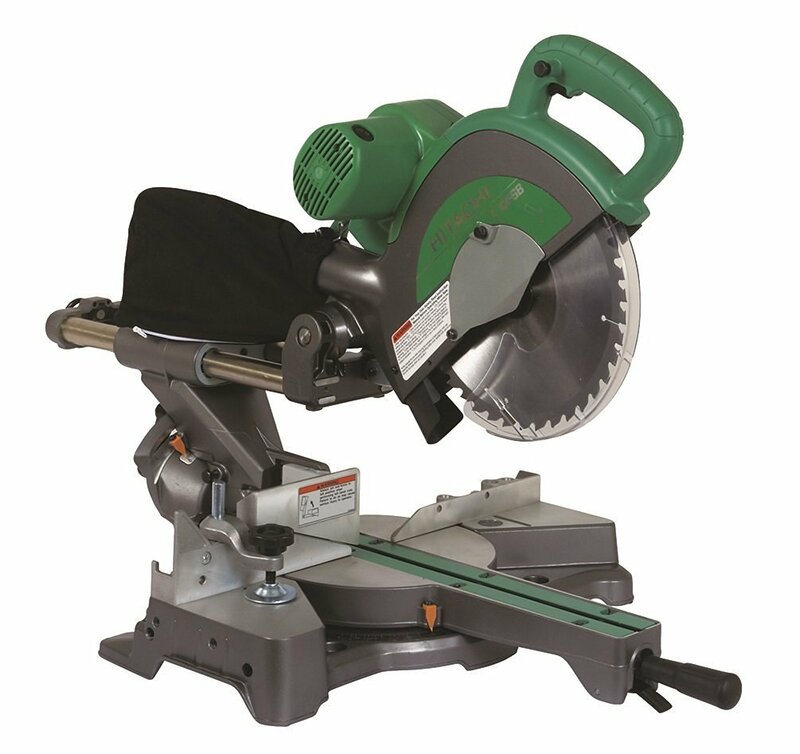 When you work with wood and carpentry projects that require accurate cuts and angles for tight fits, you need the best miter saw you can have in your tool arsenal. You just need to make sure you have a sharp blade in the miter saw. Then you can easily fine tune a joint so you get a perfect fit, by trimming off a hairbreadth’s width or by just adjusting the angle. 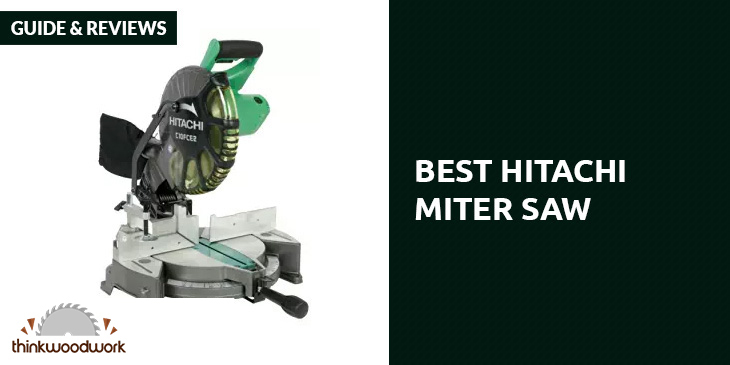 The miter saw is great for work on door and window trim, crowns, and baseboards. Of course, the trick is to find the best miter saw first. 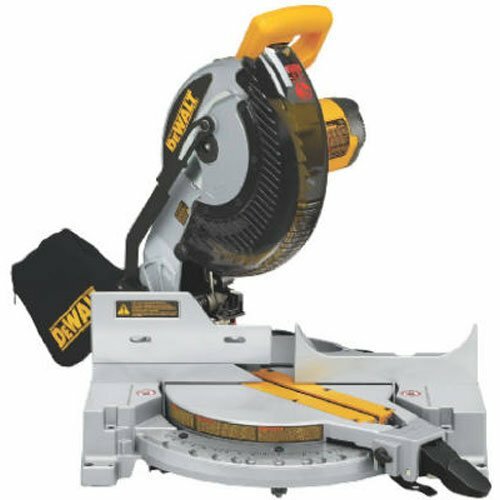 Just what features and capabilities should you go looking for when you’re shopping for a miter saw? 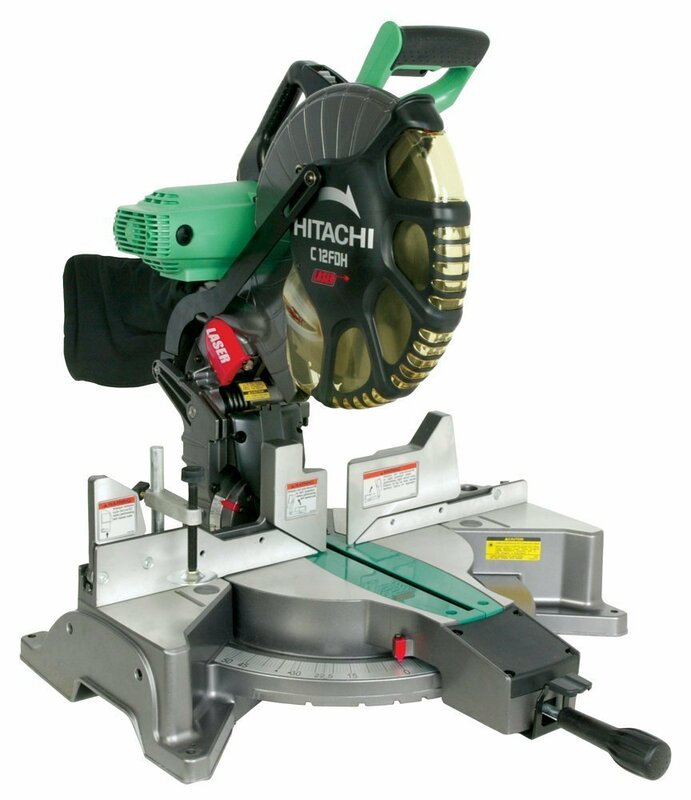 We can help you out by offering the following reviews of excellent miter saw models. 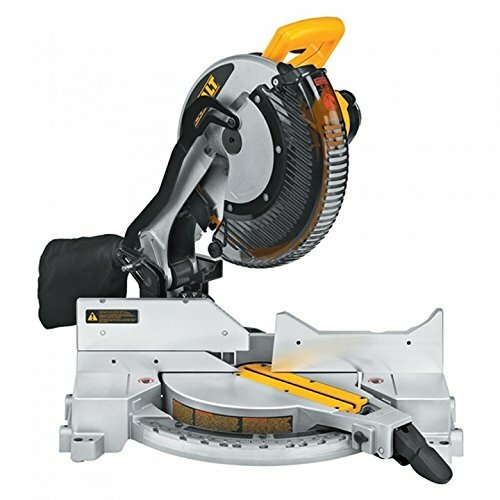 The Dewalt DW715 is a compound miter saw, and this means that the blades don’t just pivot left or right to make your angled cuts and for beveled cuts they tilt in a single direction. Manipulate it not on just one axis but two, and you need only a single pass to make your compound cuts. With the 4,000 rpm capacity, cutting molding and framing becomes faster, along with other miter saw tasks like crosscutting. 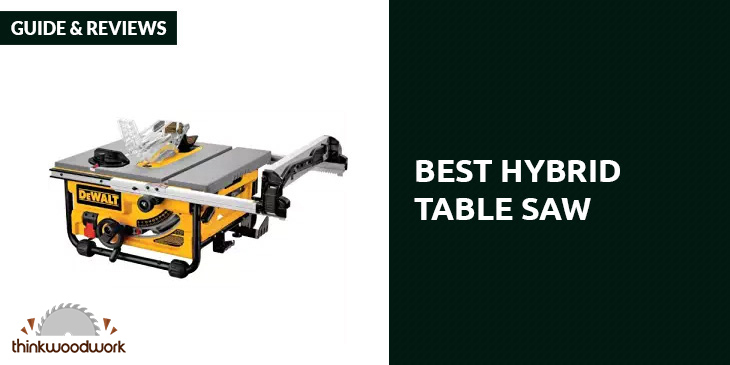 You can improve your work productivity, as you have 11 stops in the detent plate. You get fast and accurate miter angles as the cam-lock is easy to adjust. You can also adjust the miter setting without the having the saw slip into the miter detents. You also get a wide miter capacity at 50 degrees, which is quite handy for a lot of jobs. 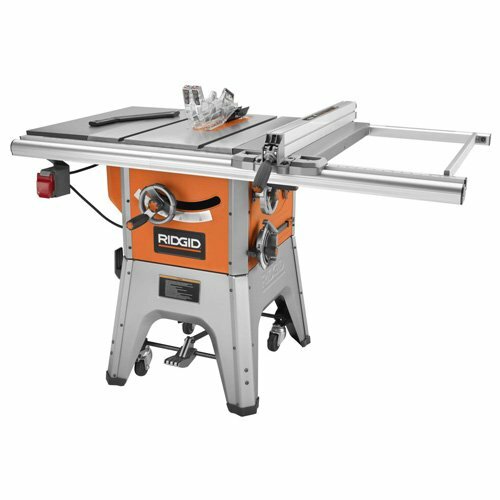 With this saw model, you won’t have any problems making clean bevel cuts at 45 degrees even through 2 by 8-inch lumber. You also have bevel stops at 48, 45, 33.9 and 0 degrees, so you can set to the most common bevel angles more quickly. Its tall fence can support 5.25-inch crown molding and 6.5-inch base molding. When it’s time for you to make your bevel cuts, you can just slide this fence out of the way. If you’re like most woodshop enthusiasts, then you’re probably a big and strong adult. So you should have any trouble lugging its 42-pound weight to the jobsite. That’s especially true with the built in carry handle. 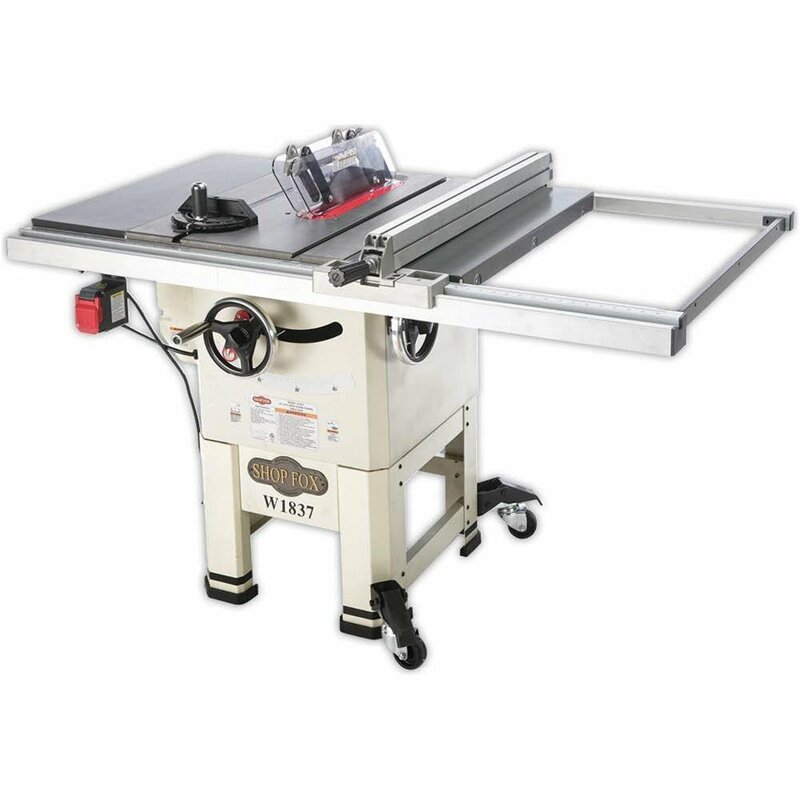 This miter saw can also last for a good long while, as it has a limited warranty for 3 years. Service labor is also free for a year, while you can return this for any reason within 90 days. 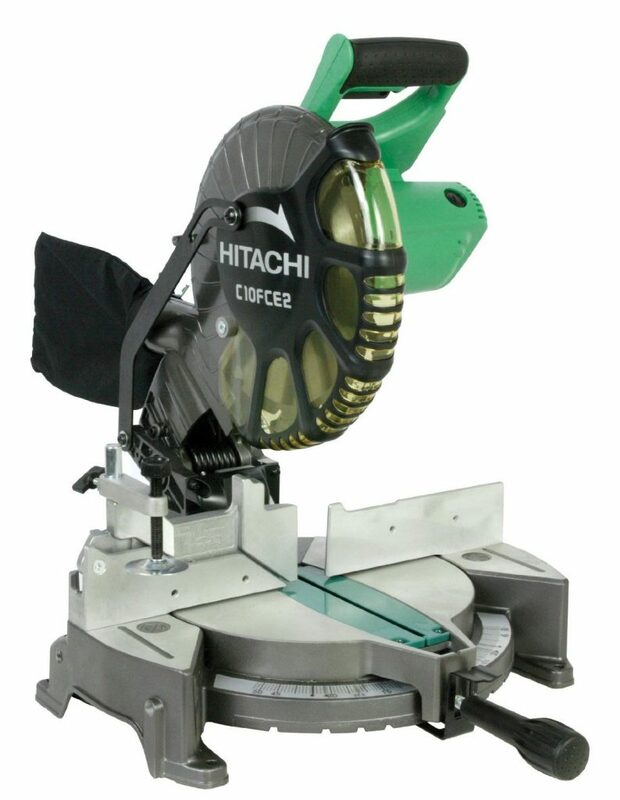 The Hitachi C10FCE2 compound miter saw is a bestseller among miter saw models, and there are good reasons for this sort of popularity. 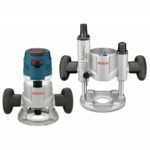 To begin with, the motor offers ample power with up to 5000 rpm, so you can make your cuts with ease even for tough jobs. 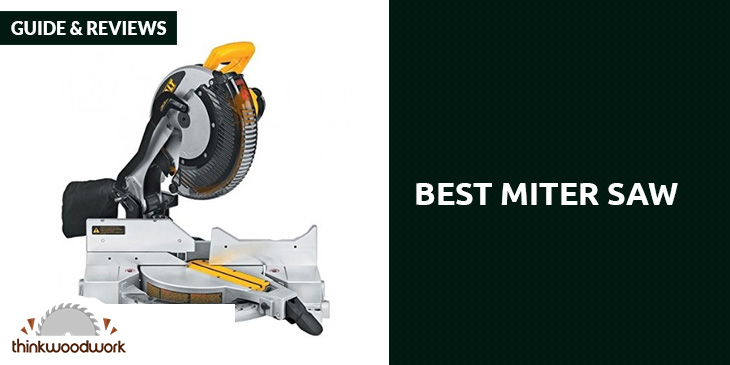 You won’t have any trouble maintaining your control with this miter saw. The horizontal handle comes with an elastomer grip that reduces vibrations. With the built-in clamping system, you can hold your work piece securely. You can set your miter adjustments from 0 to 52 degrees with just your thumb, with the bevel adjusting up to 45 degrees to the left. The flip fence can rise by 4 inches, and this allows you to make accurate cuts of pieces, with up to 2 and 5/15 inches high and 5 and 21/36 deep. It features a dust collector to minimize the buildup of dust, as it protects the interior components from dust. It’s also very light, as it weighs a mere 26.3 pounds which is just about a record for 10-compound miter saws like this. You don’t have to be huge and strong to bring this with you on a job site. Your purchase comes with a 10mm box wrench as well. 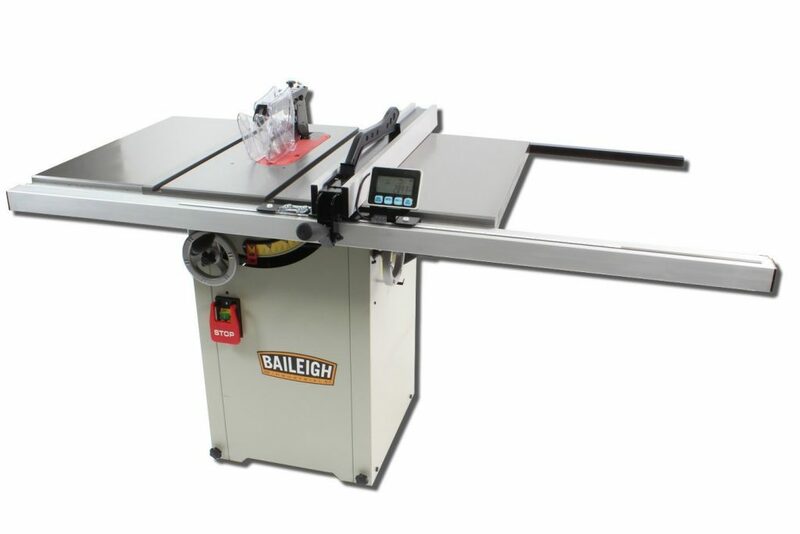 As for durability, it comes with an impressive 5-year warranty—you’re not going to need a new miter saw for a very long while. 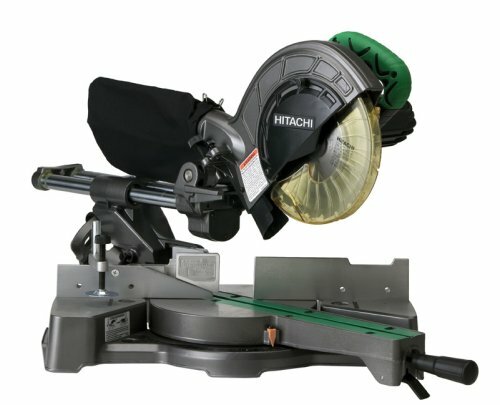 And it will be a very long while before you can find a warranty for a miter saw that’s longer than this warranty from Hitachi. 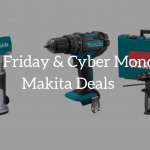 This time you get a 12-inch dual-bevel glide miter saw, plus a blade with 60 teeth, a material clamp, a blade wrench, a dust bag, and a 90-degree dust chute elbow/vacuum adaptor. 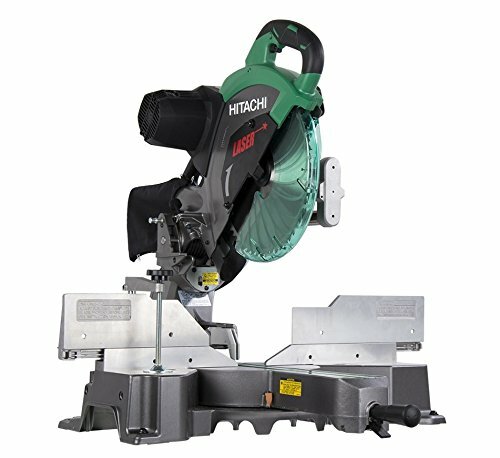 You’ll need to set this in place, as the Bosch GCM12SD Miter Saw weighs 65 pounds so it’s not exactly portable. Just make sure that you set it up near an electrical socket so you can reach it with the 6-foot power cord. Once you set it up, it’s good to go. The motor is ample enough to provide 3,800 rpm for quick cuts. 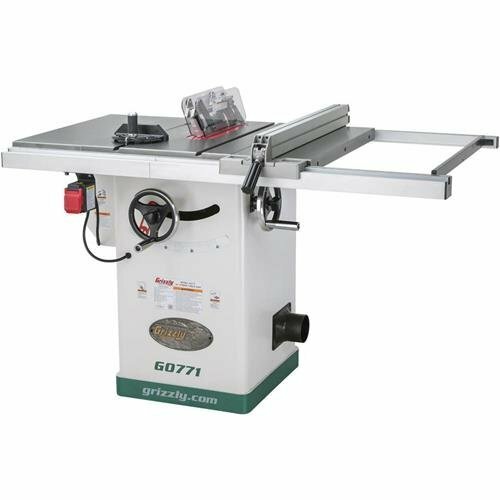 Using it is helped along with the saw’s compatibility with several brands and types of 12-inch blades, plus you can see what you’re cutting with the visibility offered by the clear lower guard. The saw has 2 sliding integrated base extensions, so you have support that you can adjust for materials to 40 inches long. The horizontal capacity is 14 inches, and the vertical capacity for material against the base or fence is 6.5 inches. It also has a 6.5-inch nested crown capacity against the fence at 45 degrees. The quick-release fences are aligned at 90 degrees to the table of the saw, so it doesn’t need adjustments. They also have a one-touch lock and unlock feature, so you can slide each fence on to position for accurate alignment. Making bevel adjustments is easy as the bevel lock lever and range selector are up front. You can cut at angles from 0 to 47 degrees left and right, with marked roof pitch angles and detents making it easy to set the most commonly used angles. The bevel detents are at 45, 33.9, and 0 degrees for both right and left-facing cuts. It has 2 safety switches, and the dust collection system is excellent. The trigger handle is very comfy to use, as it’s ergonomic, large, and ambidextrous. It comes with your usual 1-year warranty. 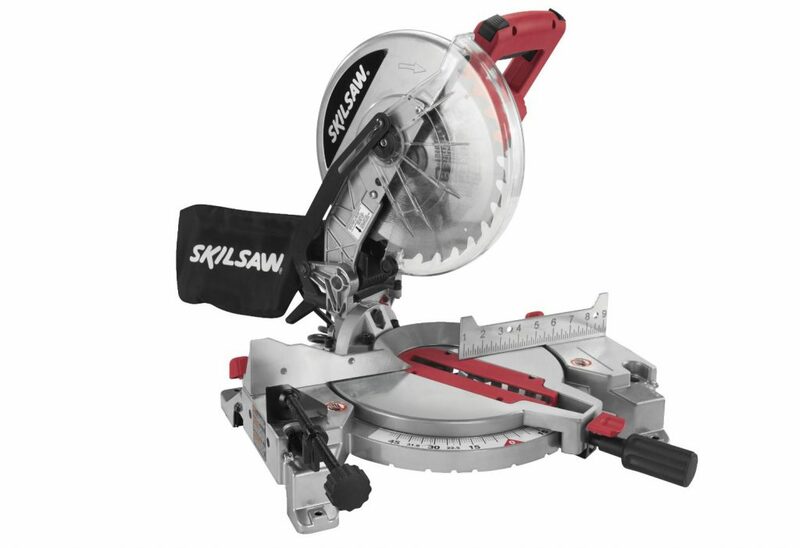 The SKIL 3317-01 is another 10-inch compound miter saw, and it’s excellent for beginners. 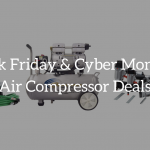 And it’s not just about the low price either, or even about the 5,000 rpm capability. One of its most notable features is its “quick mount” system, which lets you mount the miter saw on the SKIL stand in just 3 easy steps. You’re also able to quick and accurate cuts for demanding jobs like crown molding. That’s because you have a laser cutline guide, which for beginners is quite useful. There are also 9 stops for common miter angles. The lock off switch works for you whether you’re right or left-handed. The bevel range is 45 degrees, while the miter angle range is 47 degrees. 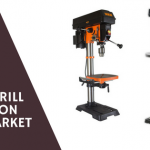 Its horizontal clamping system hold the wood piece firmly in place, while the table extension with left and right rails can handle broad panels and two-by-fours. It weighs just 25 pounds, and it comes with a 3-year warranty. The Dewalt DW713 is also another 10-inch compound miter saw from Dewalt, and the motor offers 5,000 rpm this time. You can position it easily on the miter table with the cam miter lock. The tall sliding fences 4.5-inch vertical support for crown molding, while you have a 3.5-inch capacity for baseboard against the fence. With crown molding lying flat, the horizontal capacity is 5.25 inches. The left and right miter capacity is for 0 to 50 degrees, while the bevels go from 3 to 48 degrees. The detent plate has 11 stops so you can get your accurate cuts as often as you want. You can cut 2 by 6-inch wood for your 45-degree bevel cuts, while you can do your 45-degree miter cuts on 2 by 4s. 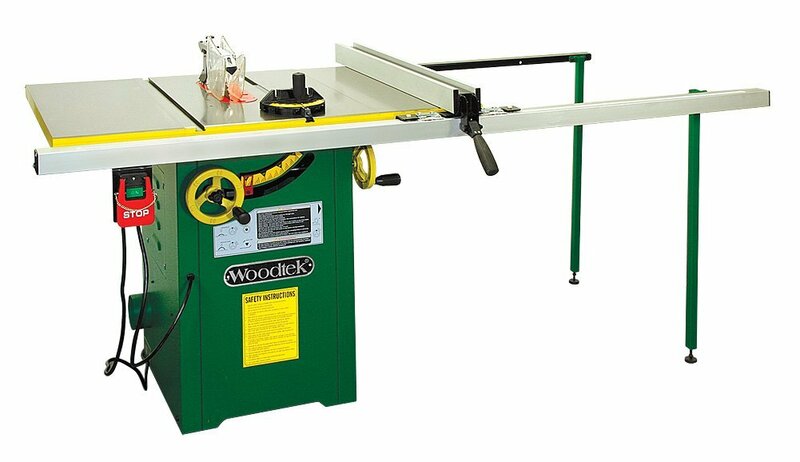 The 90-degree crosscut capacity is for 4 by 4-inch wood. Your purchase includes a user’s guide as well as blade wrench and a carbide blade. Like other Dewalt saws, it offers a 3-year limited warranty and a year of free service. You also have 90 days to return for whatever reason. When you use a miter saw, it is best that you let the saw work more naturally instead of forcing the blade through the wood. You should also cut the factory end of the board before you start measuring and cutting a part, as this makes for less sanding and a better fit. With blades, you need more teeth for smoother cuts while treated lumber need a lower tooth count. 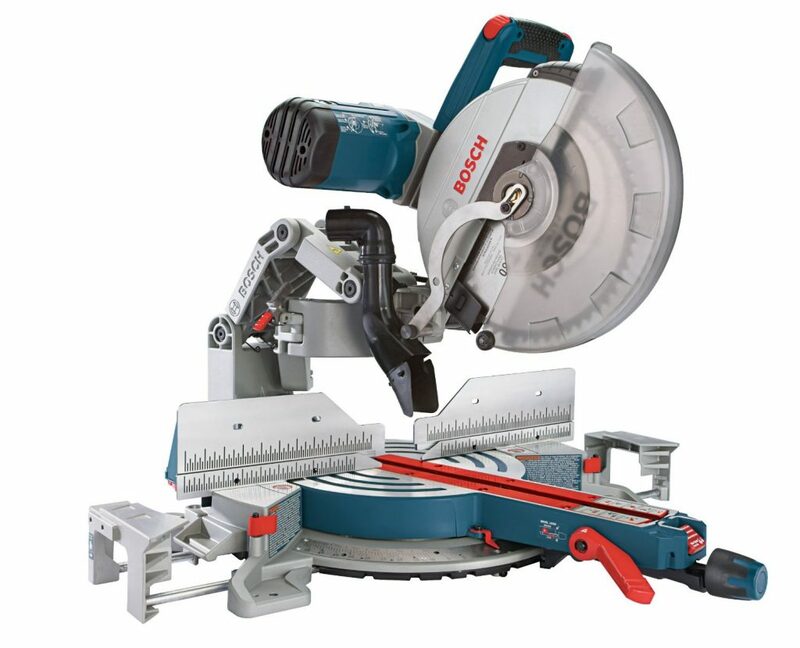 With the best miter saw at your disposal, it becomes much easier to work with all types of moldings. You can cut joints precisely for a tight fit by just adjusting the angle or trimming of thin widths. You will need a proper ﻿miter stand, but often you can get one from the same manufacturer you get your miter saw. If you’re working with wood, get a miter saw and you’ll find yourself doing better work much more easily.